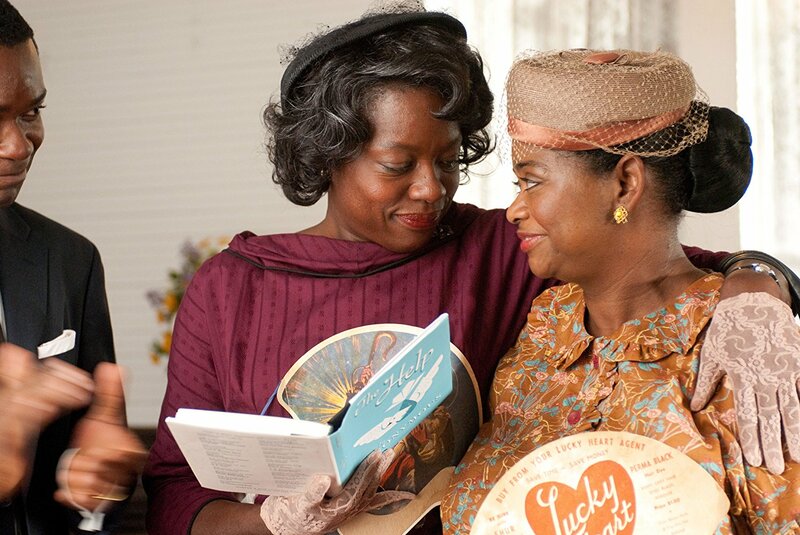 Octavia Spencer won the Best Supporting Actress for her performance in this film but I remember being blown away by Viola Davis nominated in the Best Actress category and Jessica Chastain, also nominated in the Best Supporting Actress category. 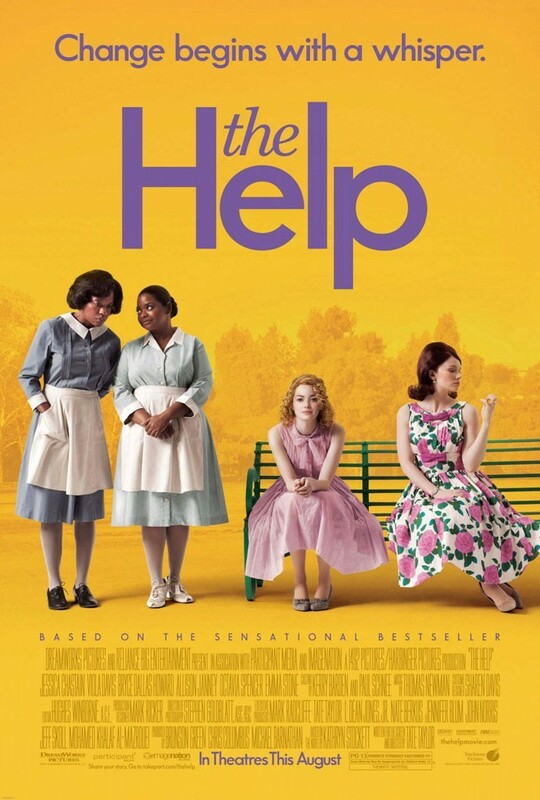 Having fallen in love with The Help as a book, I was tremendously excited they were making it into a movie. When I heard Emma Stone was playing Jeeter, I was, er, sorry, whaaaaaat? But curiosity got the better of me and I too plonked down my $12, contributing to the $216 million the movie netted worldwide. And, yes, Stone was fine. Her funny little mouth with its slightly protruding teeth, the fair skin and freckles all helped her to portray the serious and conflicted Skeeter. Emma Stone's performance aside, I could quibble that the movie failed to capture the dark essence of the civil liberties battle, that it stepped a tad little too lightly in its search for laughs and feel good 'dramedy', that it blithely accorded way too much power to one little white girl and not enough to the real heroes, the black men, and women themselves. All true but despite that, there are three very good reasons to see The Help. One, Octavia Spencer. Two, Viola Davis. And three, Jessica Chastain. This is another brilliant performance from Viola Davis, a performance garnered the acclaimed actress her second Best Actress nomination. She got her first nom for Doubt and went on to win in 2017 for Fences opposite Denzel Washington who also directed. Of her performance in The Help, Mahnola Dargis said in the New York Times, "Ms. Davis keeps her cool even as she warms your heart and does her job, often beautifully. She doesn't just turn Aibileen, something of a blur in the novel, into a fully dimensional character, she also helps lift up several weaker performances and invests this cautious, at times bizarrely buoyant, movie with the gravity it frequently seems to want to shrug off." Playing an abbreviated version of Kathryn Stockett's Celia Foote, Jessica Chastain was talked about at the time as the next Meryl Streep. She was nominated the following year in the Best Actress category for her extraordinary performance in Zero Dark Thirty. Al Pacino is said to have raved about her to Terrence Mallick who cast her in Tree of Life which also came out in 2011. The New York Film Critics Circle awarded her that year's Best Supporting Actress. Chastain has continued to be hugely popular with fans and critics alike. 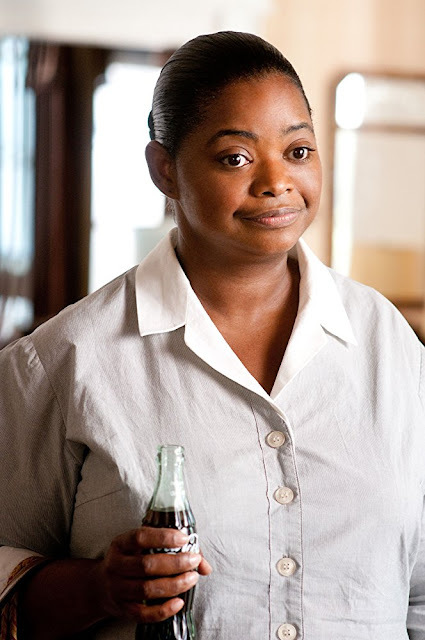 And then, of course, there's Octavia Spencer, the award winner who took home the gold for playing the powerful Minny Jackson whose special pie made a lasting impact. Here's that remarkable scene from the movie. The Help is available on iTunes, Amazon, Googleplay, YouTube and Vudu. I don't know about you, but I'd like to reread the book. Portions of this post previously published on October, 2017 and December, 2011.